So the other day I was thinking it's been a while since my first jump. Looks like I just hit my 20 year mark. 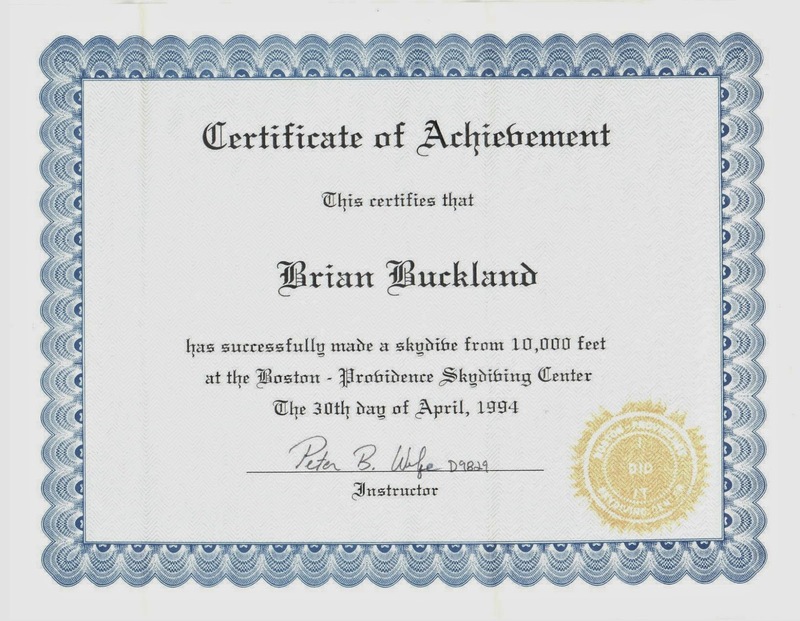 My first tandem at the Boston-Providence Skydiving Centre changed my life forever. Thank you Peter Wolfe for sharing your world and help get me started on my own in it. It's truly been an experience I can't imagine my life without. Orange County Skydiving Learn to skydive from Orange County Skydiving; we will help you to guide Skydive in Orange County during your experience. Thanks for your superb post. You can get these services here.